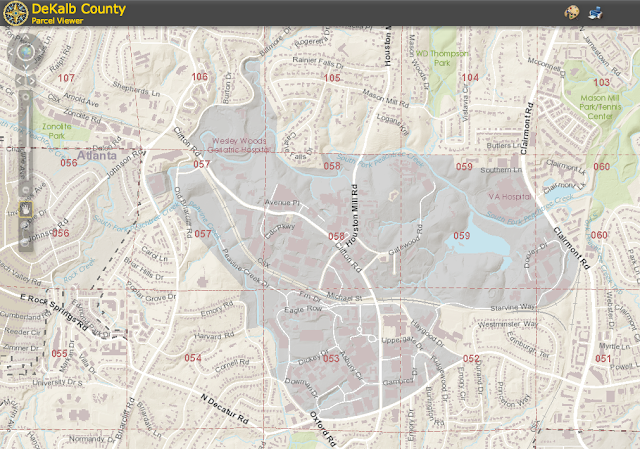 DeKalb County's Parcel Viewer map highlights Emory University property in grey. The graduate student housing complex on Briarcliff Rd. sits across the street from the City of Atlanta boundaries, marked by a dashed line. Late last week, Emory University issued a brief statement about its intention to pursue annexation to the City of Atlanta. Around the same time, neighborhoods adjacent to the Emory campus were invited to a meeting, led by Commissioner Rader, to discuss the ramifications of such a move. Bill Thorpy: Emory wants to move into Atlanta? MANA board members attended the above meeting. As aways, we will be on the lookout for new developments and share what we learn through this website.